Ireland have named their side to face hosts France in their opening Pool C clash at the U20 World Championship. Ireland will hope to improve upon last year’s disappointing campaign by emerging from a tough pool which includes South Africa and Les Bleus. A win in their opener on Wednesday would set them on their way and their hopes have been bolstered with the inclusion of their returning captain, Caelan Doris. The front row for the game in Stade Aime-Giral, Perpignan consists of Munster duo James French and Diarmuid Barron, who returns to the tournament for the second year, and Leinster’s bright prospect at prop Jack Aungier. Completing the front five, Ulster lock Matthew Dalton is joined by Jack Dunne who will emulate his St.Michael’s schoolmate James Ryan to play in Ireland's second row at the tournament. In the back row fellow Ulstermen, Joe Dunleavy and Matthew Agnew scrum down in the flanker positions while in a huge boost for the team, Number 8 and Captain Caelan Doris, returns from injury to mark his second u20 World Championship. An all Leinster halfback partnership sees Hugh O'Sullivan keep the impressive Jonny Stewart on the bench and Harry Byrne, younger brother of Australia test tourer Ross Byrne , hope to walk in his brothers footsteps. A Munster/Leinster combination in midfield sees Peter Sylvester win his first U20s cap along side the experienced Tommy O’Brien. An exciting back three of uncapped wingers Dan Hurley and Tom Roche ,from Munster and Leinster respectively, and Michael Silvester,who returns for his second world Cup, completes the starting lineup. Ireland’s bench consists of a mix of experience with uncapped front row replacements, Dan Sheehan and prop Joe Byrne, joined by Aaron Hall, Sean O'Brien and Charlie Ryan who were involved in this season's U20 Six Nations campaign. Three players who will look to impact proceedings as experienced replacements are Jordan Duggan, Jonny Stewart and Conor Dean who were all part of Ireland’s dissapointing campaign last year. 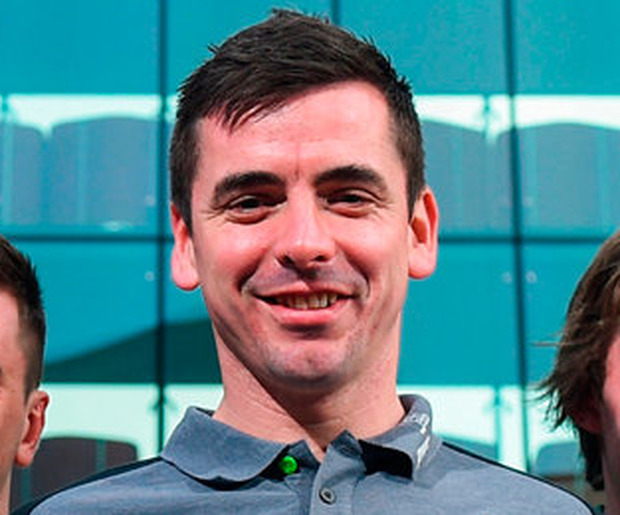 Speaking ahead of the game, Ireland head coach Noel McNamara said that although Ireland face the hosts France, who were triumphant in the six nations, confidence is high in camp. "There has been a great build up to this game,” he said. “With positive work done both at home and since we arrived here in France, everyone is looking forward to getting the tournament underway. “The players have worked hard and they know the task ahead, so for them it's about focusing on their roles and going out there and playing with conviction."